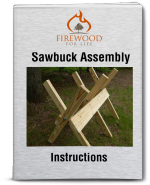 Firewood Processor - Should You Buy One? A firewood processor could be the safest, fastest, most effective way to process large amounts of firewood. But is it practical and cost effective for the average home owner to purchase one? Probably not. Even though most people would love to own one of these machines, the initial cost does not make it a practical choice. However, if you have plans to start a firewood business, a processor is a great investment. 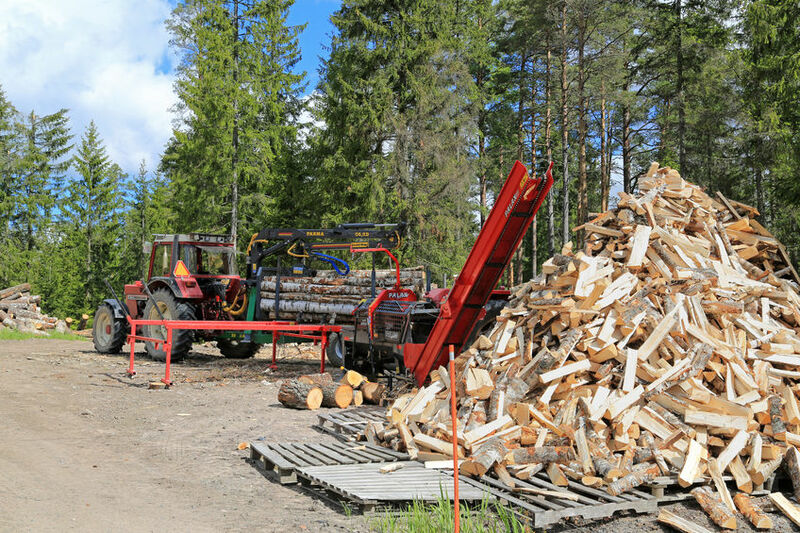 The amount of firewood these machines can process can take your business to the next level. These large machines can be purchased in a variety of sizes. The smaller models are able to be run by a single person and can be towed around by a pickup truck. The processors are generally categorized by the amount of wood they can process in one hour. On average a smaller unit can cut and split one cord of firewood per hour. The machines are moved to an area where wood has been processed into sections and is ready to be converted into small chunks of split firewood. The wood is loaded on to the deck of the machine. Through the use of joystick controls the machine uses hydraulics to cut the wood to a specific preset length which is determined by the operator. The wood is then split by the machine into several small pieces depending on the splitting wedge attached. Some models have a conveyer belt assembly which moves the split wood away from the machine and dumps them into a pile or truck. The processors offer extra safety because the user is positioned away from the moving saw blade, reducing the risk of injury. Should You Buy A Firewood Processor? A processor is generally purchased by someone looking to start a firewood business. The average starting cost of a machine is around $10,000 which is often more than the average home owner would like to invest. Like any machine, the processor requires maintenance to function property. Any machine with moving parts is susceptible to breaking down if not properly cared for. If you're lucky enough to find one, some rental companies will rent a unit for the day. Other machine owners will come to your house for the day and process your wood for a fee. Many companies also offer used machines to purchase. Buying a used machine could be an option for someone looking to spend less money.